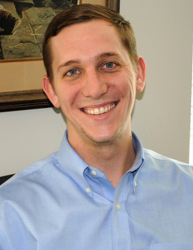 Henry Lande is responsible for assisting both the front and back office with client development and client services. Prior to joining Beacon Pointe, Henry worked for BBVA Compass as a Commercial Real Estate Underwriter. Henry holds the Certified Financial Planner™ (CFP®) certification. He graduated from Texas A&M University, majoring in Finance/Real Estate and minoring in Financial Planning. In his free time, he enjoys playing basketball, hunting, reading and spending time with his family and friends.